Del. 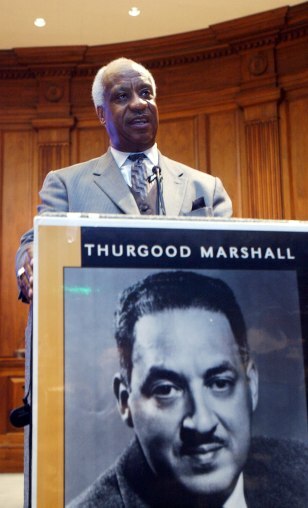 Emmett C. Burns Jr. speaks during a March 28 meeting to rally support for renaming Baltimore-Washington International Airport after Thurgood Marshall, first African American justice on the Supreme Court. Maryland's governor signed a bill Thursday confirming the change.